& a Reg. Pedicure is included in our package services. 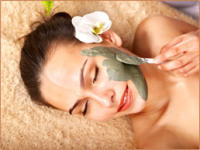 2) Body Scrub, a Body Massage, and a Facial is included in our package services. 3) Facial , a Shellac Manicure,a and Dead Sea Seacret Pedicure is included in our services. and Bikini area is included in our package services.